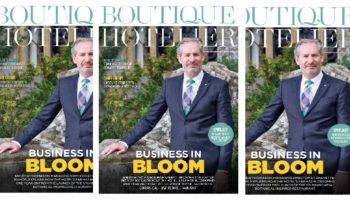 Jan-Paul Kroese, general manager at Belmond Le Manoir aux Quat’Saison, was attracted to the role at the prestigious Oxfordshire boutique because of chef patron Raymond Blanc’s legacy, he tells Boutique Hotelier in the latest edition of the monthly magazine. 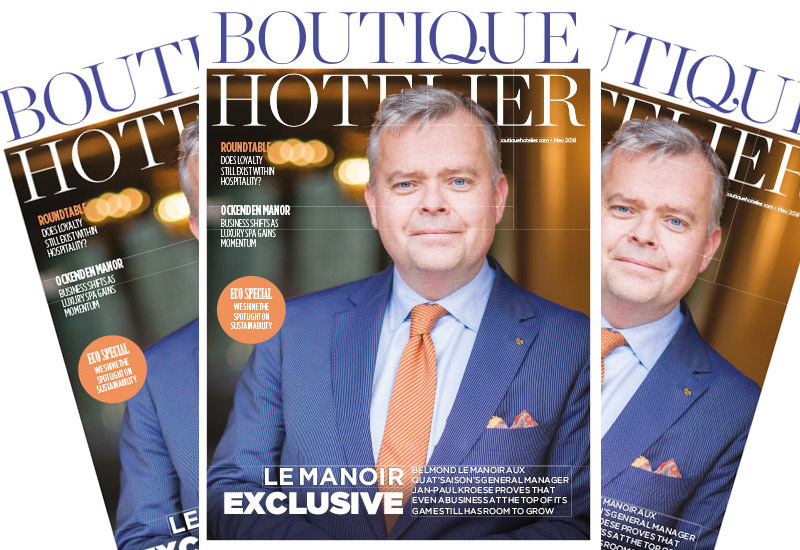 The Dutch hotelier takes the coveted front page of the May issue and reveals to editor Zoe Monk all about the challenges he faces at the five-star property, the secret to the hotel’s recruitment success and how the kitchen garden is still at the heart of the business. 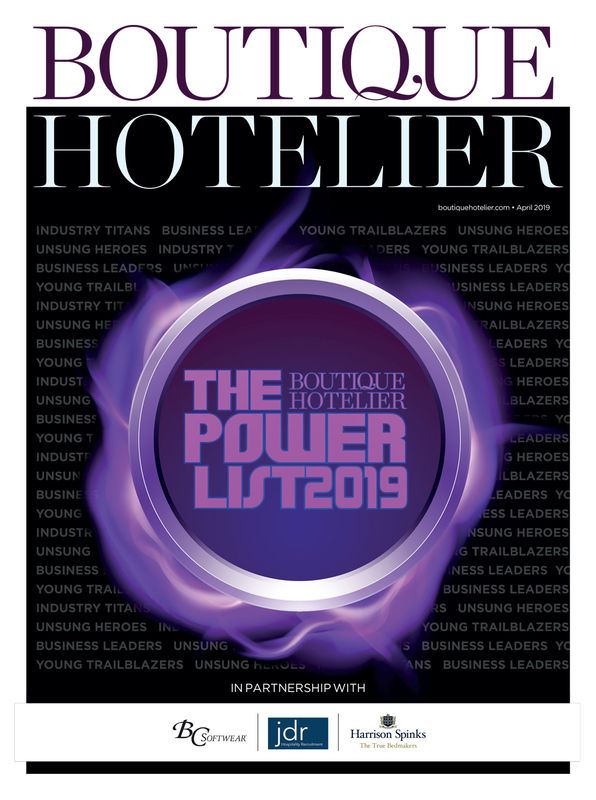 We also look at loyalty this month in a special roundtable, where leading hoteliers discuss whether it still exists within hospitality and how to drive real loyalty among guests as the force of the fast-paced Millennial traveller continues to be felt across the industry. Sustainability is thrust firmly into the spotlight for the May edition too, as we find out who is delivering exceptional results when it comes to being kind on the environment. 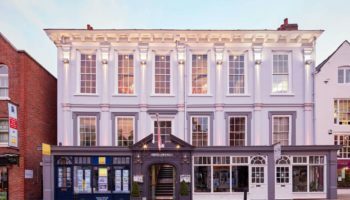 The head chef at Britain’s ‘Greenest Hotel’ shares his insight on how to run an energy-efficient kitchen and how choosing the right equipment is key to streamlining service. 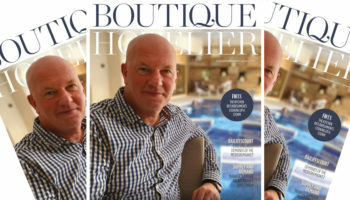 Adam Smith, general manager at Ockenden Manor takes the hot seat this month in a candid interview about how business at the hotel has shifted since the spa came online almost four years ago. 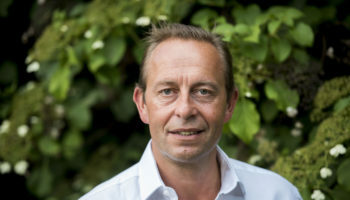 He explains how they have had to adapt to the change in consumer demand and discusses the hotel’s extensive Sussex wine cellar and its growing competition. 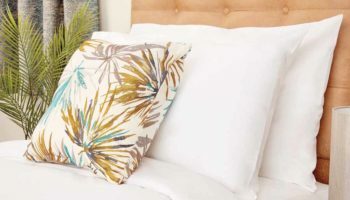 With all this and more, including the latest green product innovations, the most striking bathroom items that will dazzle your guests and details of a surprising new food trend catching up, the May edition of Boutique Hotelier is not to be missed.